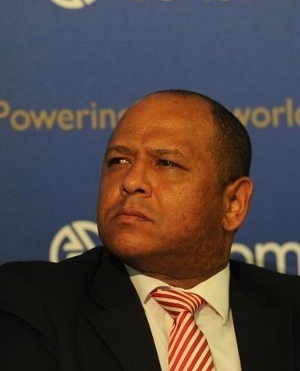 Newly appointed Eskom CFO Calib Cassim has his hands full as he works to ensure the power utility's turnaround. Here are his top quotes from his wide-ranging interview with EE Publishers investigating editor Chris Yelland. You can read the full interview here or listen to part of the discussion in the link above. "I have said that by the time I get home each day, I am exhausted and I sleep well. But it does also cause sleepless nights. At the end of the day, it’s not about Eskom any more with the guarantees. If we go down, we bring down the sovereign and the economy. "For me, the best thing that has ever happened is the presidential task team, and the fact that we have the ear of the president who understands the urgency. He used the words 'financial crisis' in his State of the Nation Address address, and this is the best way to describe where we are, hand-in-hand with our operational challenges. "I am not sure which one is going to come first for Eskom – operational or financial sustainability. I need electricity to be produced, to be sold and the revenue collected to restore Eskom’s financial and cash-flow situation. "If we don’t achieve that, even with all the support we get from government, we are not going to be financially viable. So, positively, I think the right issues are being addressed at the highest level." "Decommissioning and rehabilitation costs can be huge. Eskom has provided for power station restoration of about R30bn and mine-related closure rehabilitation of about R13bn at September 2018. We account for this in terms of our financial statements. Whatever provisions we have made for accounting purposes, based on our expert advice, has been incorporated in our MYPD4 (multi year price determination) revenue application. "But I would like to add that we have not made the decision to decommission any generation plant at this point in time. The costs of unbundling and restructuring Eskom are still to be determined." "I think, for me, the key to ensuring sustainability in the longer term is that, through the revenue mechanism, Eskom must be efficient on its cost base. "But if the tariffs do not allow for the recovery of those operating costs, as well as providing the ability to service the debt commitments going forward, it will just be a repeat of the R83bn, and in a few years’ time, say three to five years, we could find ourselves in a similar position. So I think that is the trick to ensure the sustainability of Eskom." "The president did mention that further details of the balance sheet support will come through the minister of finance’s Budget speech later this month. But we must acknowledge that the government has clearly said they will support us through the R350bn of guarantees, and ... the R83bn equity injection. "At the end of the day, if Eskom cannot supply the electricity needs of the country, we understand the impact on the economic growth aspirations of the president and the country. So we have to resolve the situation. We have no other option." "With regard to staff costs, we acknowledge that we have to address this. We’ve started by giving no bonuses or salary increases to senior managers, while for middle-managers there was just an inflationary salary adjustment with no bonuses. In terms of the staff complement, we need to look to reduce this over the next three to five years to come in line with an efficient base. "We must not forget that finance costs are also significant, and must be in line with our proposals for the balance sheet optimisation. A focus on our capital expenditure must ensure we do the right capex spend, where there is value-add from an operational and financial perspective. "With regard to organised labour, as the president said, we will have to engage with the leaderships to ensure they understand the situation, and that we all have to contribute in taking some of the pain to balance this equation."